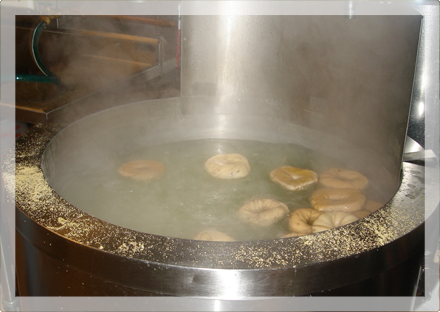 Hot bagels moved from New Jersey to the state of Arizona in 2001.
where meant to be and all of them are hand roll boiled and baked bagels daily. We serve breakfast and lunch selling 3000 everyday. 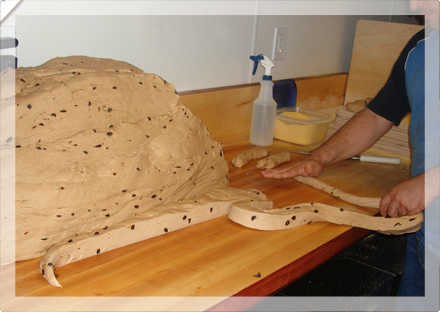 It's quite a show to watch the large mound of dough being hand rolled and boiled. It smells great, too. The shop also has a full deli selling all your favorite appetizing meats, cheeses, and a large assortment of spreads. Scumptious deserts are available. 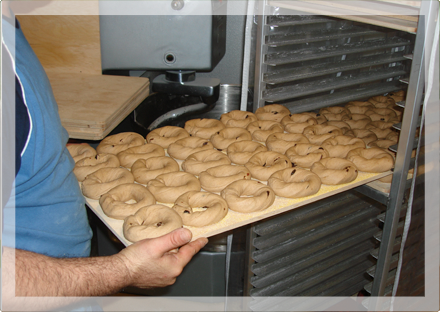 Hot Bagels & Deli © 2011 | Designed by Printgraphics, Inc.